Camping Milfontes si trova a Vila Nova de Milfontes, Beja, è situato in una zona boscosa. Questo campeggio dispone di piazzole delimitate, sia ombreggiate che, senza ombra e piazzole poco ombreggiate. Camping Milfontes si trova nei pressi di una spiaggia di sabbia. È possibile affittare casemobili e bungalow. Ogni anno un ispettore visita il Camping Milfontes, controllando oltre 200 tra attrezzature e altri punti di interesse del campeggio. L'ispettore è un dipendente ACSI e non lavora per il campeggio. After reading a previous review I should have known better than to choose to stay here. It mentioned the noisy campers but I assumed that would be a specific case, however it seems it might be the norm for this location. Granted we arrived (unknowingly) Friday afternoon of Teachers day weekend. After waiting in a huge frenzied (and fast moving) line at check in we found there were still many vacant sites to choose from. There was an excessive amount of inconsiderate noise made by many of the other campers. Very loud music, shouting, applause... and it carried on late into the night, long after “quiet hours”. These inconsiderate noise-makers were people of all ages. The men’s washroom was a disgusting mess including feces smeared on the walls. The surrounding neighbourhood itself was unremarkable, seemed a bit unkept, but we were likely biased after having just spent the last few days along the west & south coast at some amazingly scenic beaches and picturesque towns. Walking distance to a mini market and some eateries. If you choose to camp near Vila Nova de Milfontes the other one a block away seemed just as hectic, but there were two campgrounds less than 15 minutes north, close to Praia do Malhão (beautiful, short drive up a gravel road, lots of parking), that seemed like they would have been a much better choice. Very poorly kept campsite with a very stupid system of leaving the site to go to the beach. This rear gate is opened every two hours for ten minutes only during the week and on the hour at weekends. If you miss this time it is a three kilometre walk to get around the site to the front gate. Why in this day and age can they not have a card system. Very strange ! Old and tired looking campsite with very basic but clean facilities. Very little maintenance on the site itself with unkempt grassy areas. Brandnew swimmingpool looks excellent but too cold in February. But in a motorhome there is no problem: electricity, water, large areas to park with or without shade. Very hot showers and excellent free WiFi. At the edge of town, close to market and shopping centre. Very nice, truly Portuguese town, not aimed at foreign tastes. Beach a fair walk through the dunes or through town. Pleasant place to stand for a restful time if you are happy with basic facilities. Volete prenotare il Camping Milfontes o oppure saperne di più? Potete farlo usando i seguenti dati. IP8 da nord o IC4 da sud. Tramite Cercal N390 o Odemira N393 per Vila Nova de Milfontes. A Milfontes seguire cartelli camping. Ben segnalato. 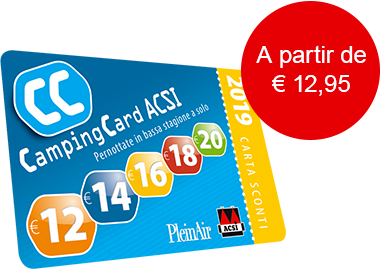 ACSI Eurocampings invia la tua richiesta di informazioni al "Camping Milfontes".